EAW015503 ENGLAND (1948). Billingley, Open Cast Coal Quarry south of the village, 1948. This image has been produced from a print marked by Aerofilms Ltd for photo editing. 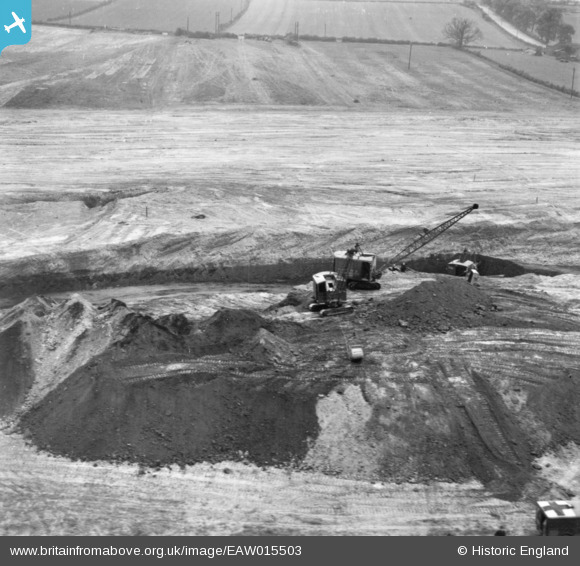 Title [EAW015503] Billingley, Open Cast Coal Quarry south of the village, 1948. This image has been produced from a print marked by Aerofilms Ltd for photo editing. The A635 can be seen through the gateways. An ambulance? a military one?